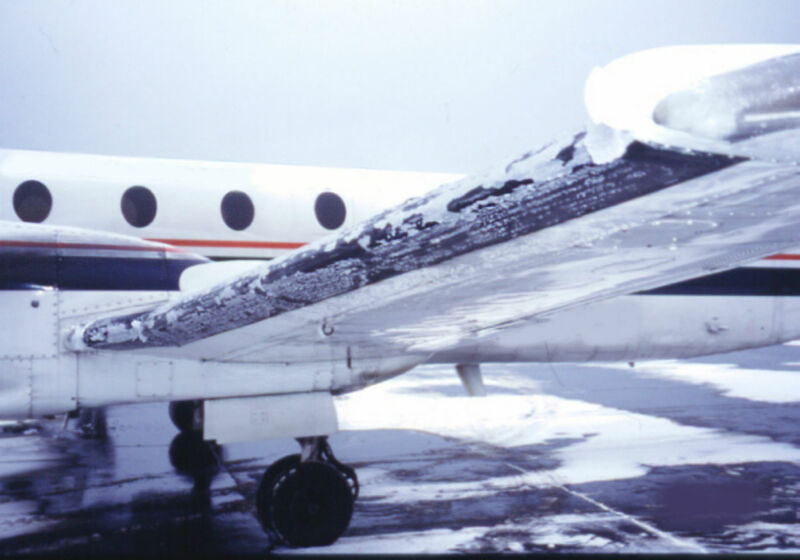 Perhaps no phenomenon challenges aviation the same way that icing does. It is highly mobile both temporally and spatially, and its effects along the linear portion of the lift curve are often barely perceptible. With adequate excess power, particularly in the form of jet thrust, it is often possible to stay on the linear portion of the curve and never discover how proximate the nonlinearity, or “cliff”, is to any particular flight. But when the angle of attack reaches that seemingly arbitrary point at which irregular flow separation is tripped by the ice accretion, the phrase “going off a cliff” may not be enough to describe the change in aircraft behavior. the general misinterpretation of successful experience. In the final analysis, many accidents have resulted from an under-appreciation of the role that angle of attack plays, not only in lift and drag but in flight control and stability. That said, the lore surrounding icing has been around for many, many years, in some cases without a great deal of merit. Some ideas have persisted from their original forms in very early research done between the world wars, such as the notion that frost is not dangerous or that pilots can judge with safety which ice accretions are dangerous and which are not. The pages that follow provide access to a number of early papers and accident reports as well as more contemporary research and accident investigations. These are by no means all of the events and papers available, but they are the ones that I consider the most significant after a number of years of study.